There are certain places that the trails have taken me, that I always return to in my mind. Places that made me feel strong. Connected. Free. That can be from having an exhilarating run on a piece of trail that flowed, felt like flying. A view that stops me in my tracks; made me feel small relative to so much beauty. The Karkloof, and specifically the top of the Grey Mare’s Tail waterfall, is one of those places that speaks loudest to me. The perspective brings on some soul-searching – maybe it’s the way the water falls without hesitation that makes me realise how much I overthink. From here, the solution to my problems is always clear. Apparently, nature is the answer! The medium and long courses will ask questions of participants but will transport you deep into the heart of the Karkloof. A tough climb up Mt Gilboa, with the 15km summiting this highest point in the Karkloof range (1768m) and the 10km skirting the top, this is a great leg & lung-tester! The descent takes participants through grasslands and forests, past the top of the dramatic Grey Mare’s Tail waterfall. The 4km route is perfect for both children and those new to trail running, exploring the plantations and fairyland indigenous forests around Bushwillow Campsite. 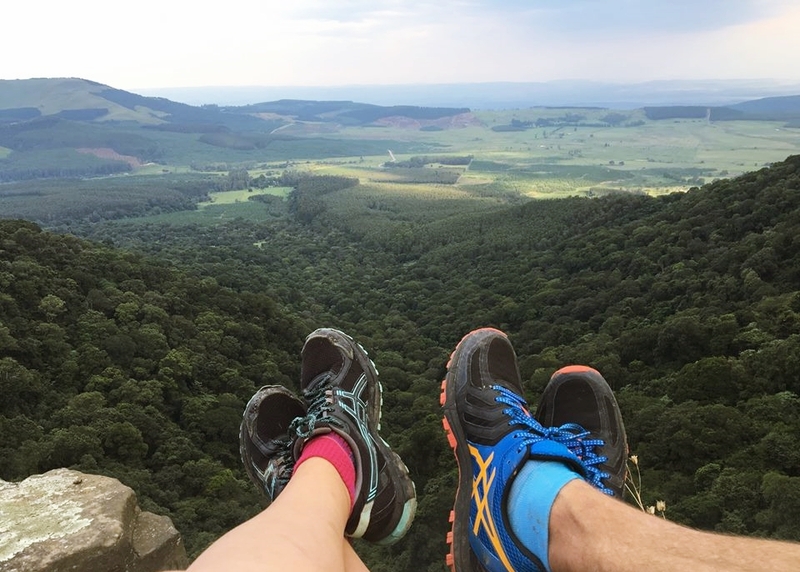 With camping available at the venue and Karkloof Canopy Tours offering runners and spectators a R200 discount per person (quote “Gilboa” when booking; 033 – 330 3415 / info@karkloofcanopytour.co.za), you have the chance to experience the valley from the top down, and bottom up! BONUS: this event is a great teaser / trainer for those taking on the @WILDSERIES Three Cranes Challenge at the end of Feb!